Carter Lake is a 315 acre oxbow lake along the Missouri River between Nebraska and Iowa. 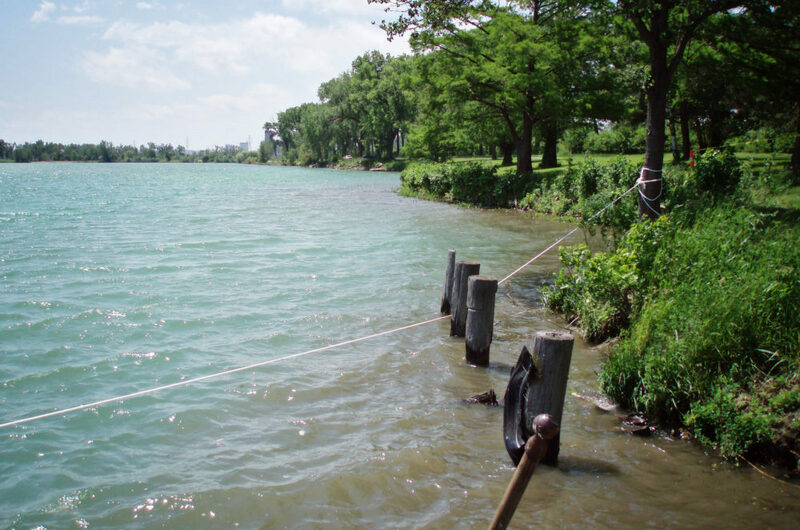 Elevated phosphorus levels resulted in cyanobacteria (a.k.a.blue-green algae) blooms and subsequent microcystin algae toxin production. From 2005-2008, beach warnings were posted for 21 of the 80 weeks of peak summer recreation. A whole lake alum treatment was completed in May 2010, a success story jointly published by Nebraska and Iowa officials can be downloaded below.